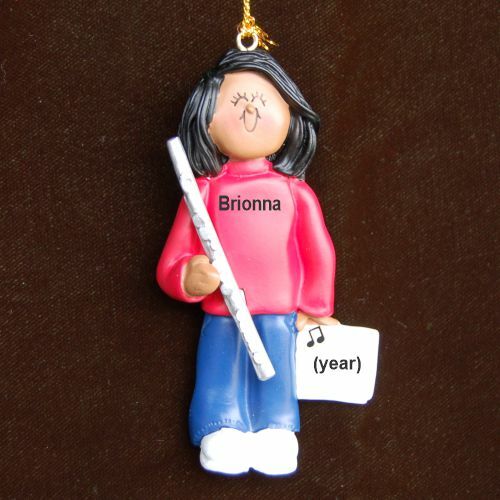 Encourage the beginner or celebrate the success of an accomplished musician with the flute virtuoso African American female personalized Christmas ornament. Cute and affordable, it's one of several African American ornaments personalized as part of a series. We letter by hand in a stylish font the details you provide, and the female flute virtuoso African American Christmas ornament personalized as a long-cherished memento arrives in our classic velvet drawstring bag with a display cord included.